LG, Samsung and GE refrigerators are the coolest fridges you can buy. Whether you need a top-freezer, bottom-freezer, side-by-side or French-door model, they'll be a hit in your kitchen. 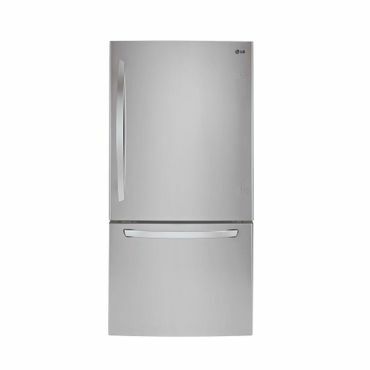 We also have a great pick for a counter-depth refrigerator, the oh-so-flexible Samsung RF23J9011SR, with the option of converting one section from a fridge to a freezer, or vice-versa. 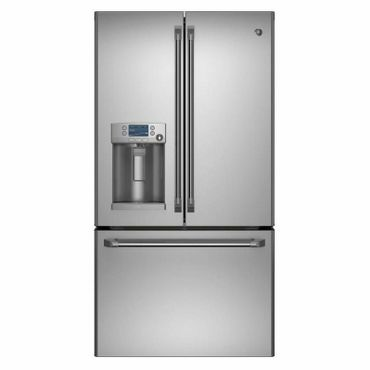 If you want a solid performing, good looking French door refrigerator at a hard to beat price, the 25 cubic foot LG LFC24770ST is a top performer in expert testing, as well as a favorite of owner reviewers. Temperature control is rated as Excellent, as is noise and energy efficiency. 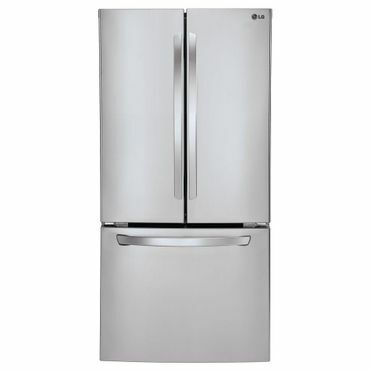 The LFC24770ST is stainless-steel, but it also comes in in white as the LG LFC24770SW (Est. $1,800) and black as the LG LFC24770SB (Est. $1,800). The 22.5 cubic foot Samsung RF23J9011SR is a four-door French-door refrigerator with a counter-depth cabinet for a semi-built-in look. It's a top performer in expert tests and is attractively styled with a stainless-steel exterior, although it's also available in black stainless steel as the Samsung RF23J9011SG (Est. $3,445). The highlight feature is a flexible compartment that can convert from a refrigerator to a freezer. Owners express very high satisfaction with this fridge, praising its roomy interior, flexible storage options and effective crisper bins. The least expensive option, top-freezer refrigerators offer more usable space for their size than other types, while using less electricity. (A typical top-freezer fridge costs between $40 and $65 a year to run.) In addition, they are less repair-prone than other fridges. Their biggest downside is convenience: since most people use the fridge more than the freezer, they'll have to bend over frequently to reach the lower half of a top-freezer's refrigerator compartment. Also, most top-freezer models have more limited organizational options -- especially in the freezer, which often has just a single shelf. In professional tests, top-freezer fridges also tend to be a bit noisier than other types and not quite as good at maintaining a consistent temperature. These are pricier than top-freezer types. However, they're generally more convenient to use because the more frequently accessed area is on top. On current bottom-freezer models, the freezer compartment is often a drawer, which makes it easier to see the contents at a glance, though some bottom freezers are accessed via a door, the same as top freezers. Regardless of the type, you'll still have to bend over to reach the food. Baskets in the freezer compartment of drawer-style freezers help with organization, while the best door-type bottom freezers will have pull-out bins. The biggest advantage of side-by-side refrigerators is their narrow door clearance, which can be a plus in a narrow or galley kitchen. 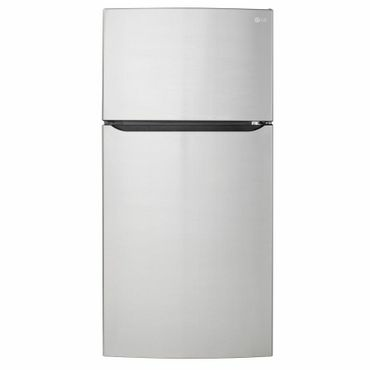 They're also convenient for families with kids, who can reach both the fridge and freezer compartments easily. Side-by-side fridges don't use either space or energy as efficiently as other models, though some, more innovative models do much better than others. Their narrow widths may not easily accommodate popular frozen items, such as pizza boxes, and food stored in the back may be hard to reach. 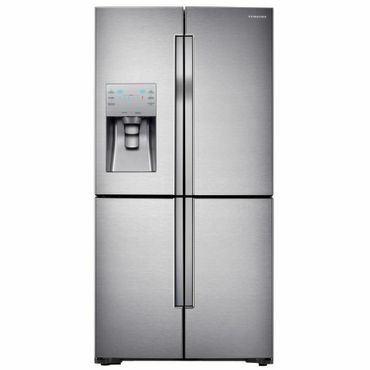 These attractive bottom-freezer appliances feature a full-width refrigerator compartment with a pair of side-by-side doors, instead of one large door. That design lets you open just one side of the fridge so less cool air escapes while still providing space for wider items such as sheet cakes and pizza boxes. French-door models are the priciest refrigerators overall; however, they provide a lot of machine for the money. 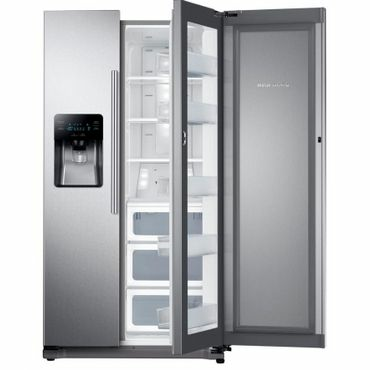 Many fridges of this type also include through-the-door ice and water dispensers. The bottom freezer is often a full-width pull-out drawer, but some French-door refrigerators have four doors, splitting the freezer section into two independent compartments. Some models also have an extra pull-out drawer between the refrigerator and freezer section for frequently-used items, like deli meats. Specially designed so that they don't protrude beyond the edges of cabinets and countertops, these come in side-by-side, bottom freezer and French-door styles, although only French door models get good enough ratings and reviews from both experts and owners for us to recommend them. Some models accept panels that match your cabinets so they seem to almost disappear in your kitchen. Counter-depth fridges create a streamlined look, but are generally the priciest type of refrigerator overall. The MSRP's (manufacturer's suggested retail price) on some, if not most, refrigerators can be high enough to send a chill up your spine. We still use MSRP as our price guideline, only because the sale prices can vary so much depending upon which retailer you're shopping at. However, it's extremely rare to find a refrigerator that's being sold at full price. Most are hundreds or even thousands of dollars less on sale -- we spotted a couple that were less than half the stated MSRP when compiling this update. So, don't let our prices put you off, go to the retail website and take a look for yourself. We offer other buying strategies in the buying guide section of this report. ConsumerSearch editors looked at dozens of refrigerators, narrowing it down to the top picks by examining reviews by experts and owners. Up-to-date, hands-on expert reviews that include testing can be found at a few sites, most notably Consumer Reports, Reviewed, Good Housekeeping and CNET. Owners are very passionate about their refrigerators, rightfully so for such a big investment, and it was not unusual to find hundreds of reviews for individual fridges at sites like Home Depot, Lowe's, Best Buy and elsewhere. The one issue is that sometimes those reviews have quite a bit of overlap as many appliance retailers will mix in reviews from manufacturers' websites with their own, unique reviews. We took that overlap into account when evaluating owner reviews. Once all of the review data is analyzed and distilled, we consider features, performance, energy efficiency and appearance to help you find the perfect refrigerator for your cold storage needs.